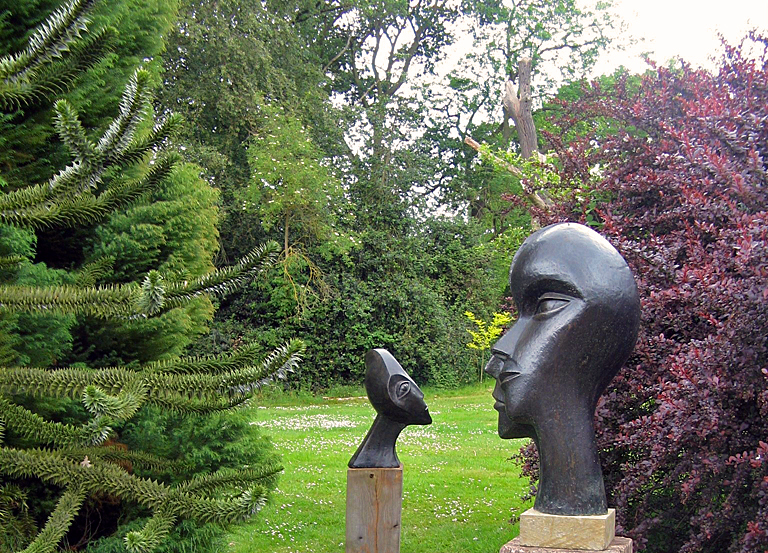 I was introduced to Beatrice Hoffman by Emma Riley and Alison Ramsay of The Art Agency in Esher as they often display her smaller pieces in the gallery. Beatrice mostly works with solid and coiled clay to create figurative and abstract sculptures that are eventually cast in bronze and bronze resin. They vary in size from 25cm to 100cm in height. Beatrice is fascinated by “strong form” and her work is influenced by C.G. Jung’s ideas of archetype and from her childhood memories of a catholic church filled with Baroque carvings. Her work represents a mixture of mythology, psychology and spirituality and is influenced by relationships, human identity, maternal love, mental states and solitude which she hopes enables engagement and contemplation for the viewer. 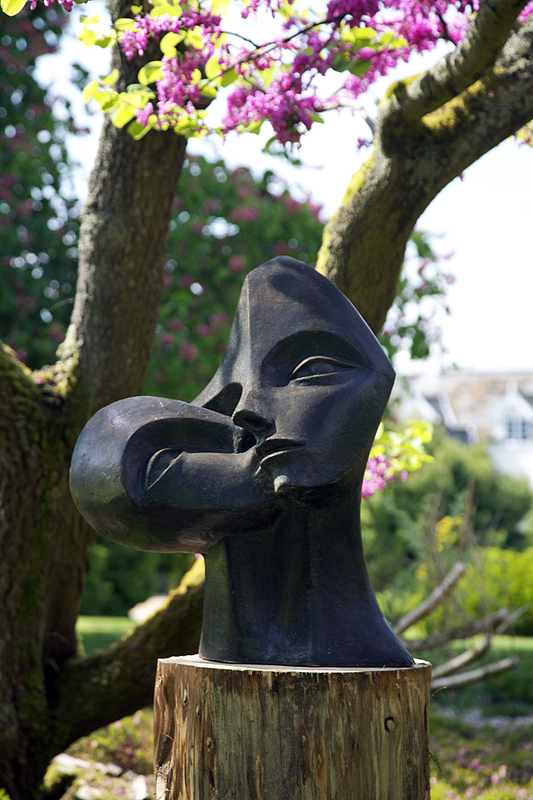 Beatrice’s double head sculpture series was inspired by Henry Moore’s topic of relationship which is represented in his work. 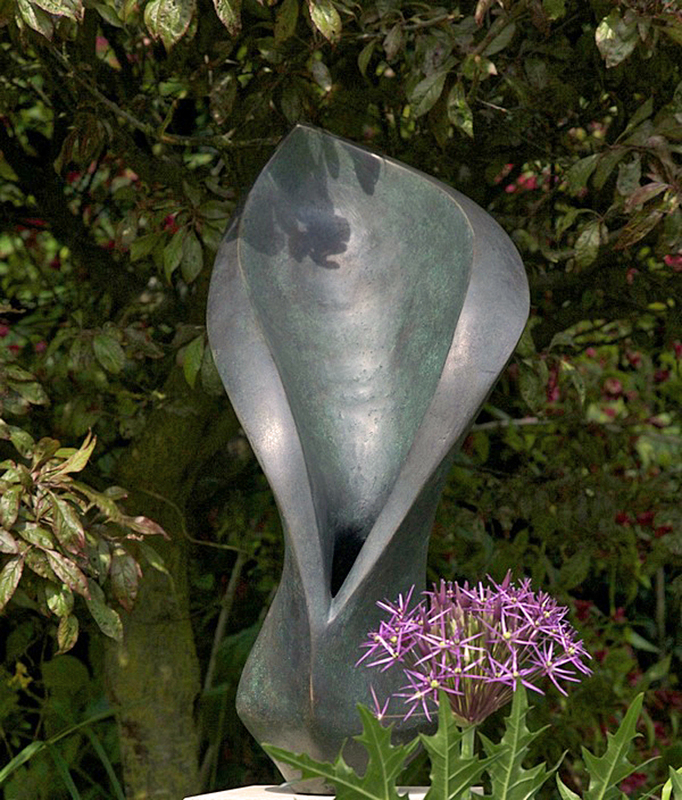 I think Nurturing (below) is my favourite piece. The more you look at it, the more you get drawn in to the expression of their faces and what’s behind those expressions. 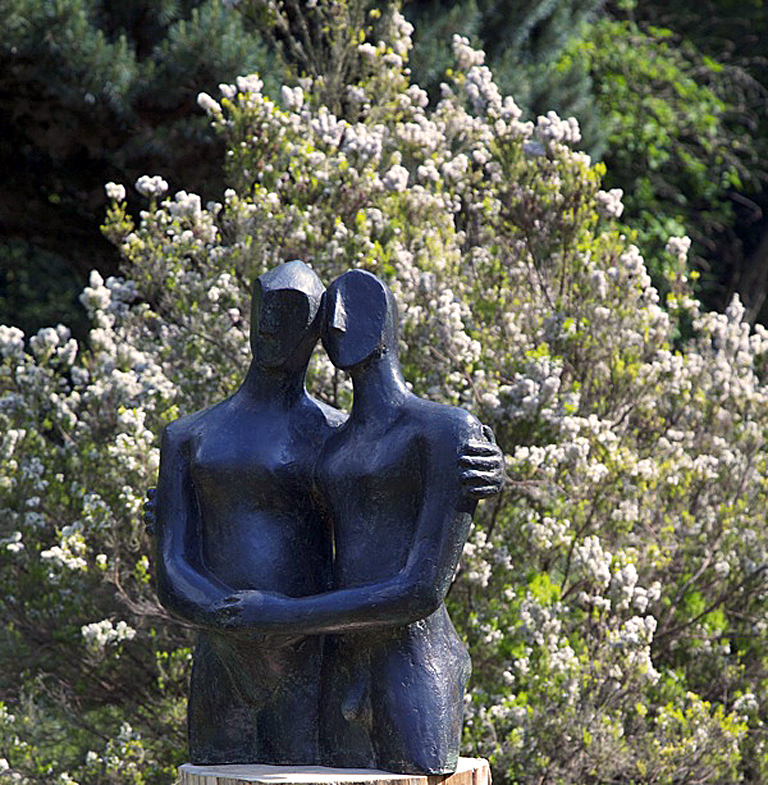 In an interview with Kay Wolf, Beatrice describes this piece “within their shared closeness it shows need, dependency on the one hand, and the longing to find freedom from the responsibility of care on the other”. The full interview and more examples of Beatrice Hoffman’s work can be found on her website. It all depends on the point of view. Very beautiful. Thank you.